Despite a recent study showing that Princeton’s Public Schools will not see major increases in student numbers, petitioners at Princeton Council meetings continue to argue that Princeton High School is over-burdened. According to this argument, development projects in town, including much-needed affordable housing, should be delayed or down-sized because of lack of space at the High School. But this would be a very strange way to make development decisions, especially because 1 in every 6 students at the High School comes from Cranbury, a town ten miles to the south-east, which doesn’t even share a border with Princeton. There would be space for hundreds more students at the High School if the sending-receiving relationship with Cranbury School Board was allowed to lapse. In 2013, 239 out of 1,425 students at Princeton High School came from Cranbury (source: OPRA request). We welcome students from Cranbury, but it is slightly strange that they go to Princeton High. 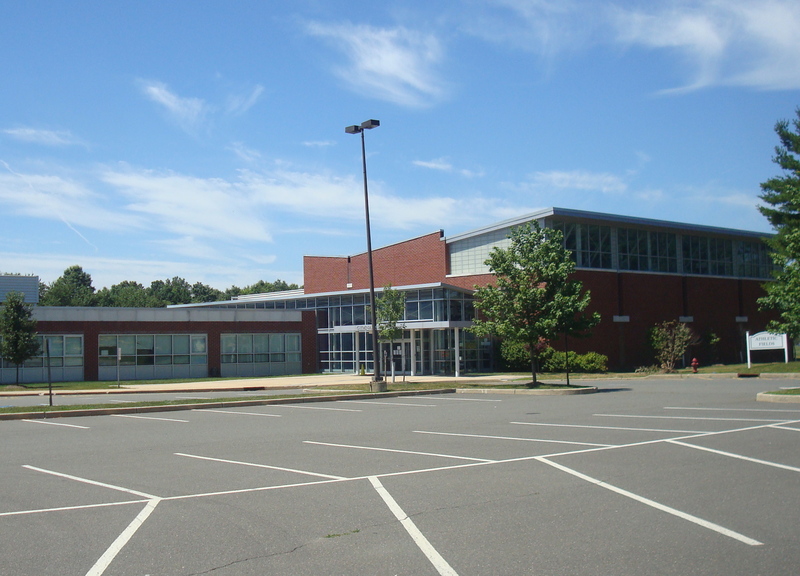 Hightstown High School Monroe High School is the closest high school to Cranbury. Hightson High School is also very close by, and Cranbury students are bussed right past two more high schools in West Windsor-Plainsboro to attend class in Princeton. It seems antithetical to the principle of local schooling for them to be driven across multiple district lines to get to class, and what message does it send to the West-Windsor-Plainsboro and East Windsor school boards? A quick look at the Princeton Public Schools user-friendly budget for 2012-13 reveals a line item of $4,493,214 for ‘tuition’, which could well be the “4.5 million in revenue” provided by Cranbury to send their kids to Princeton High. That would work out at $18,800 per student per year, roughly equivalent to what we spend per year on Princeton students. Did you know that 1 in 6 kids at Princeton High was from Cranbury? Who should attend Princeton High- students from Cranbury? Students from somewhere else? (Trenton?) Or students from Princeton? Have your say in the comments section below. This entry was posted in People, Princeton, Sustainability and tagged Princeton, public schools. Bookmark the permalink. Shameful, ridiculous article; not sure what your motivation is except to divide a wonderfully cohesive student body. Technically Monroe High School is the closest high school to Cranbury. It is closer by almost half a mile the distance to Hightstown High School. Please spend some time and do some research into the real issues, and reasons why Cranbury students are sent to Princeton High School. I also strongly suggest finding out who makes the decision on where Cranbury students attend high school. I hear no cry from teachers, parents, or coaches about Cranbury students. Cranbury students are wonderful contributors to the overall positive academic environment at Princeton High School…any school would welcome them with open arms. Look at where Cranbury students end up…they tend to be your highflyers! Thanks- I have corrected the article to say that there are in fact 4 high schools that are closer to Cranbury than Princeton High. As mentioned above, we reached out to Cranbury School Board to ask for information about why Cranbury students attend Princeton High, and we got no response. If you have other information, please feel free to leave another comment. Here are the historical and projected enrollments for the Princeton High School as reported in the Demographic Study for Princeton Public Schools July 2014 (for that report see link at Princeton BOE site, http://www.princetonk12.org/Board/ , in right hand column under “Studies and Reports”). The trend is a study increase in Princeton high school enrollment with a dip in the final year of the projection (2018-19). It is not clear to me that this is a “bubble” in enrollment at the high school. These numbers include the new AVB and Merwick-Stanworth developments (600 units plus) but not any further increase of units along the Witherspoon corridor. In any case, it is hard to predict the future. The Princeton public school enrollment for this year. 2014-2015, as predicted in the Demographic Study of July 2014 underestimated the number of students enrolling in the district this year by more than 120 students.